Here you can see the difference between the old and new carriage on this #genie opener. Generally you know a carriage is in need of repair when you hear grinding noises and your garage door has a hard time opening and closing. The customer had their springs replaced about a year ago for normal wear and tear reasons. The previous installer installed garage door springs that were too small for this garage door. This made the door really heavy and caused the carriage to wear out in less than year. When the springs are too small, the door won’t lift properly, and the added weight and burden on the opener wears down the trolley carriage. Once this happens your garage door will not open, or open with great difficulty. You can hear the grinding sound mentioned above in the video below. The video also includes the sound once the trolley carriage is replaced. We replaced the trolley carriage, as you can see in the photo at the top with a brand new carriage. What a big difference, right? This fix is a pretty easy and inexpensive job and can be done in less than an hour. Next we installed properly fitted springs. Then we added the appropriate tension to the springs so it can carry the weight of the door correctly. 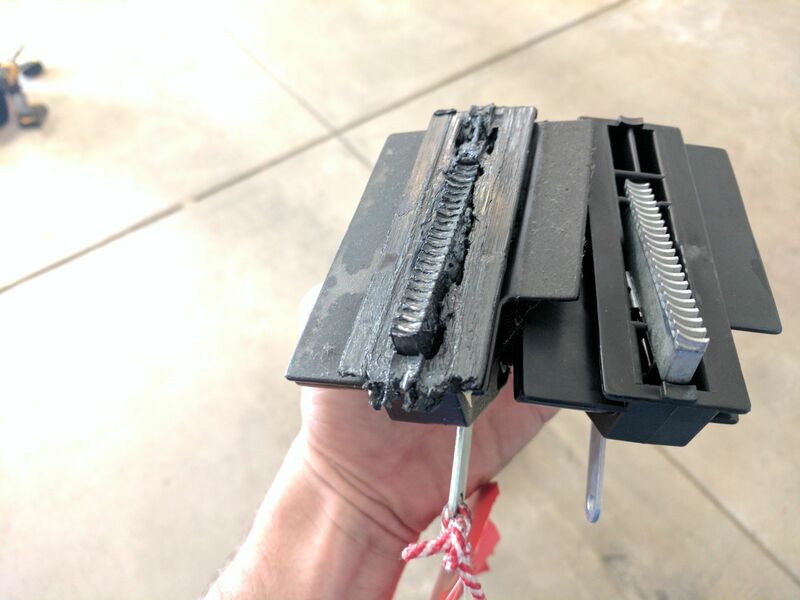 Getting springs that are properly fitted to the size and weight of your garage door is important for proper functioning and to get the most life out of your opener and springs.